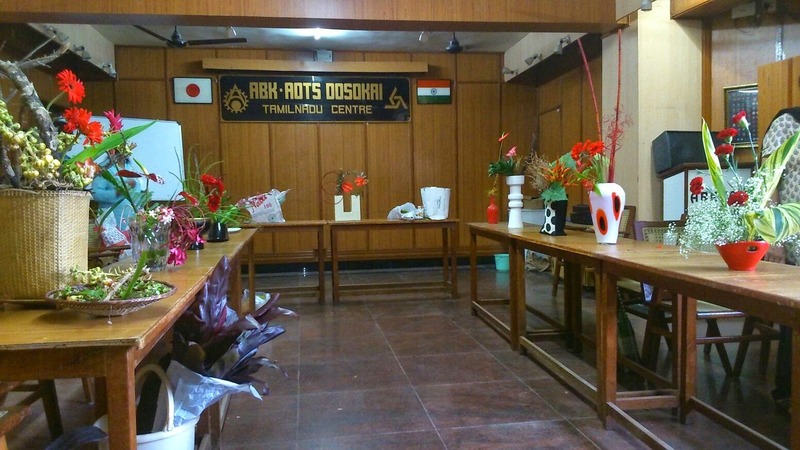 We met for our August workshop at the ABK AOTS Dosokai centre. 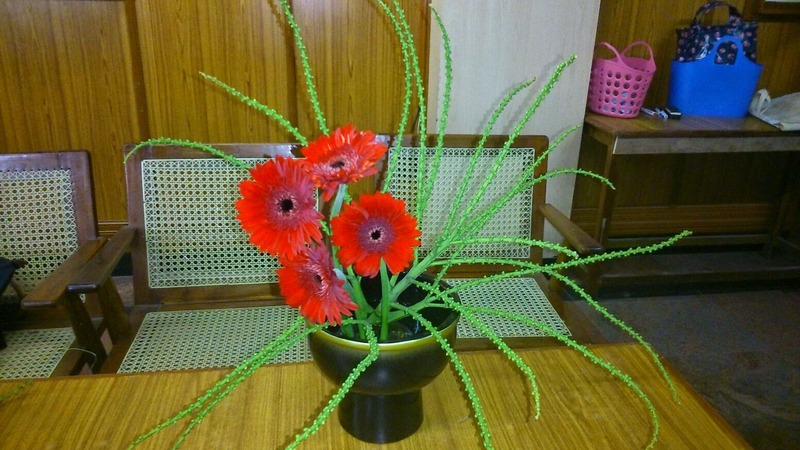 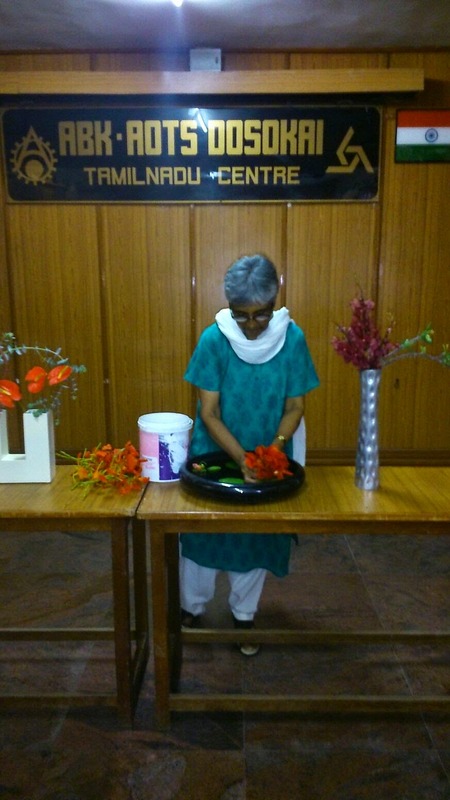 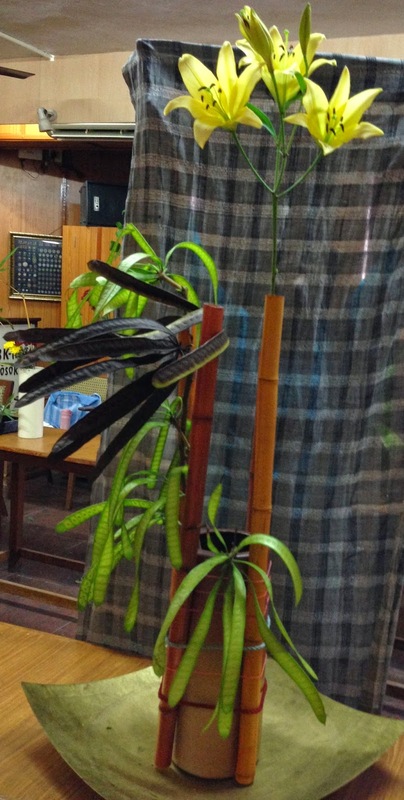 Sensei Molly Cherian gave a demonstration on "The Colour Red" using a moribana and a nagiere vase. Sensei worked wonderfully with materials found around us in Chennai. 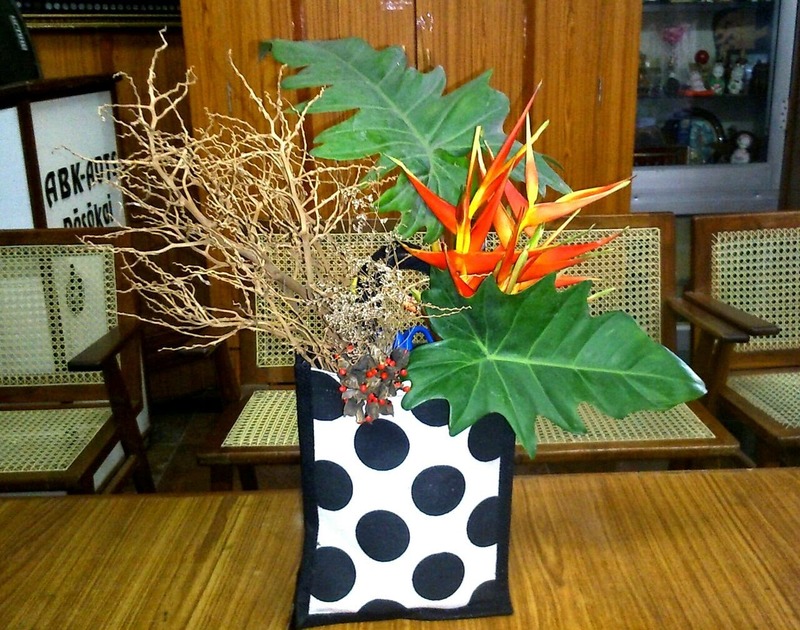 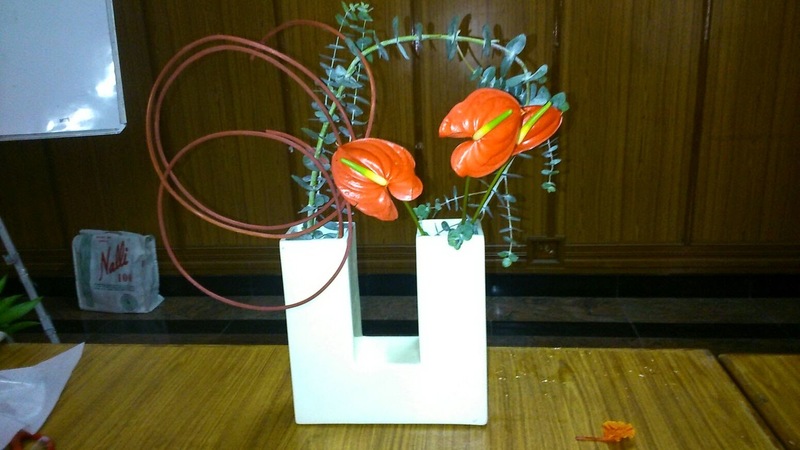 Gulmohar flowers used for the first time in our workshops. 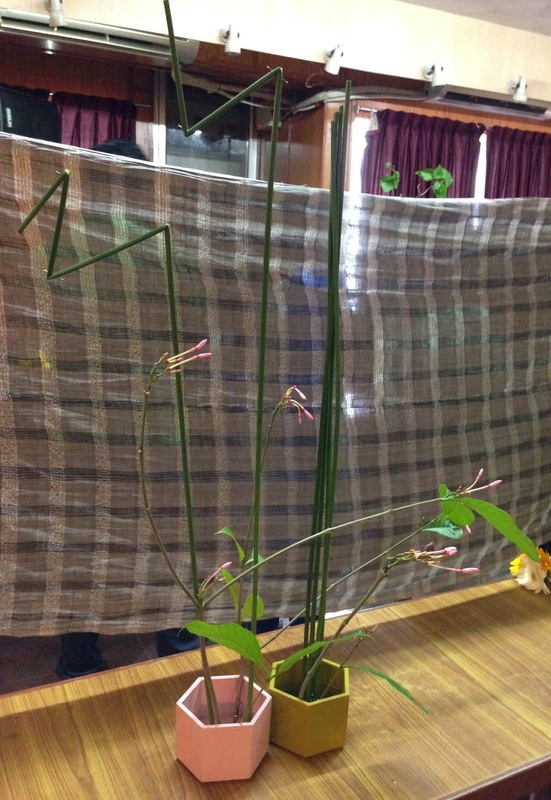 Sensei Molly suggested that they should be cut early in the morning, given a good drink of water, and then they could be used. What better way to explore "red" than with the Mayflower, which paints our cities red in the summer! By Divya, who used large red jerberas dramatically. 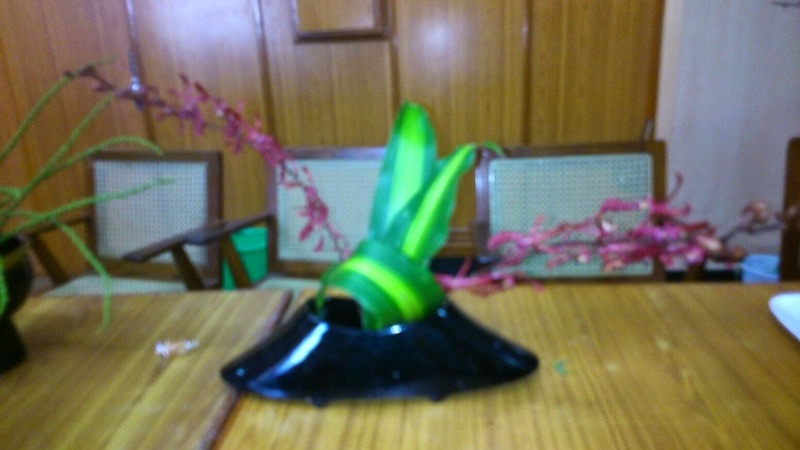 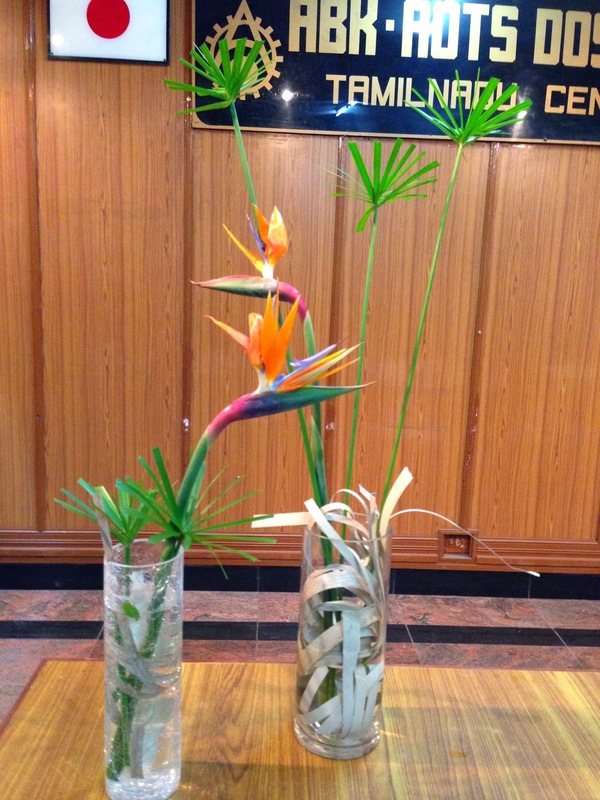 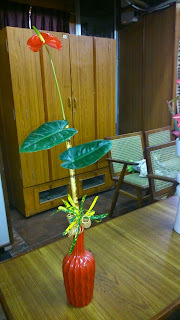 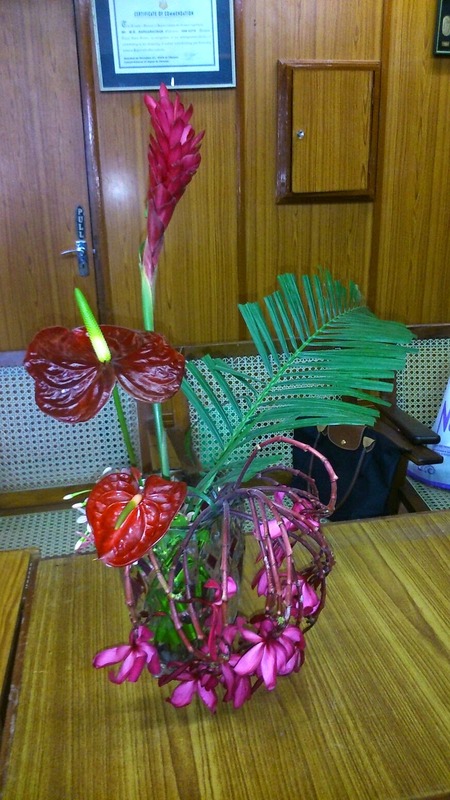 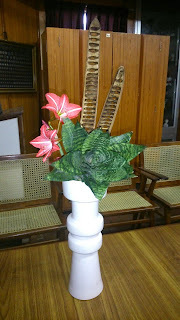 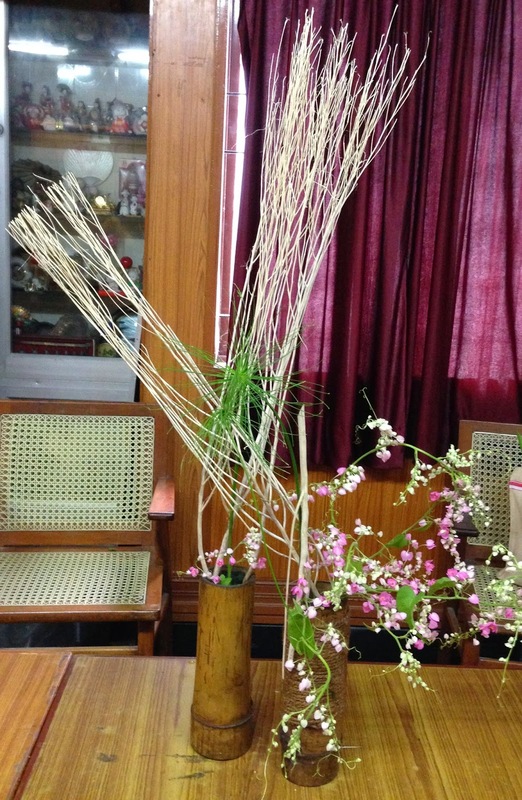 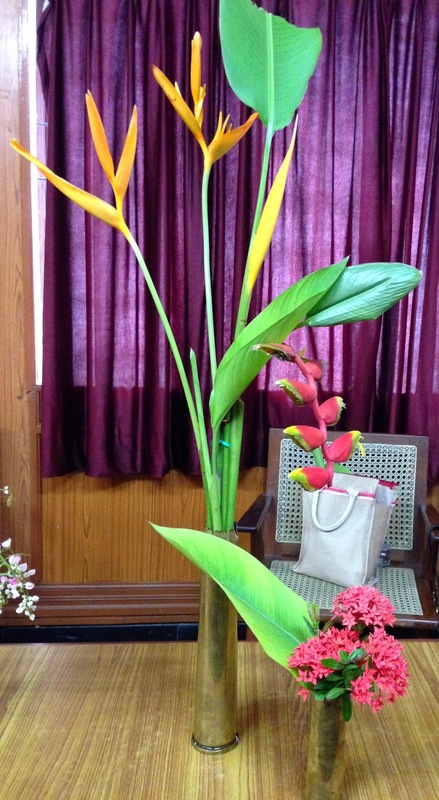 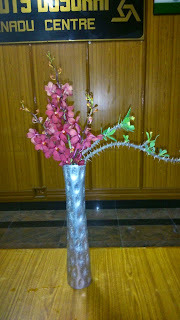 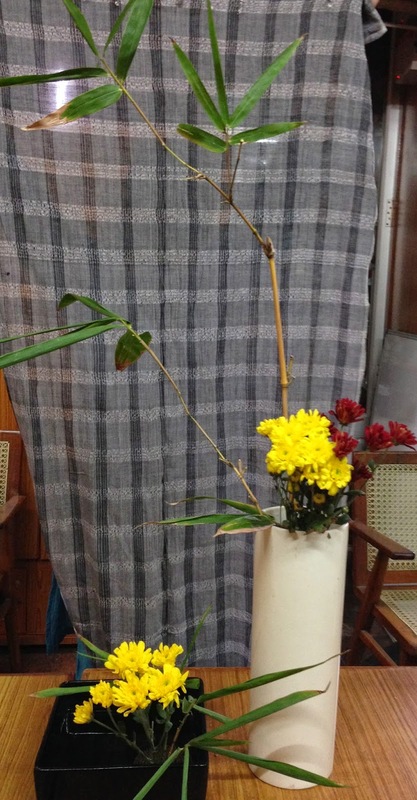 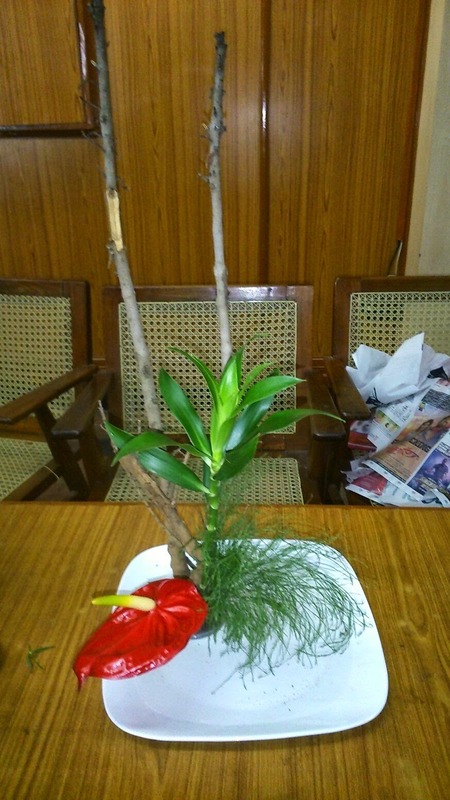 By Sensei Meenakshi who had red circles in her dry material to complement the white vase and balance the anthuriums. 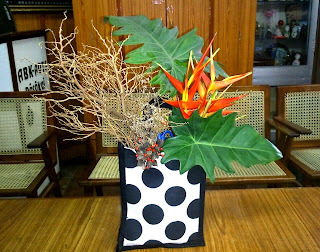 Zaitoon - the red anthurium against the white plate made for a lovely contrast. 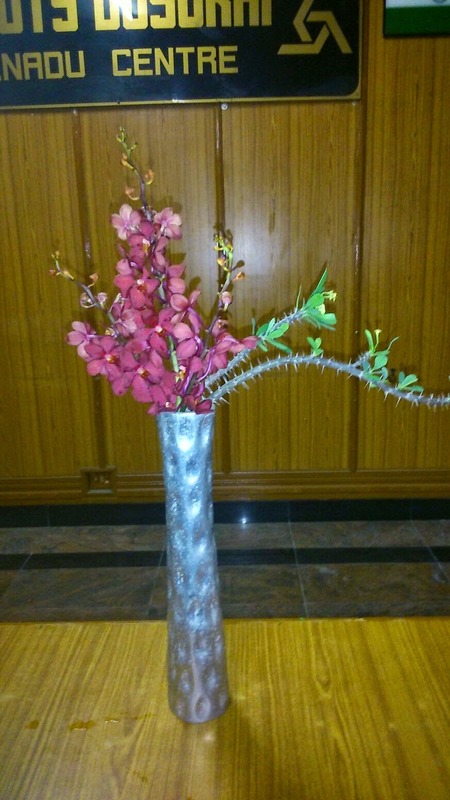 Chitra - the vase set the tone for a bold, dynamic arrangement with the red strelitzias looking like birds in a tropical forest! 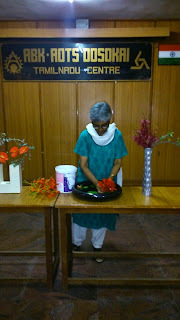 Sensei Malathi used the gentler pinkish red anthuriums. 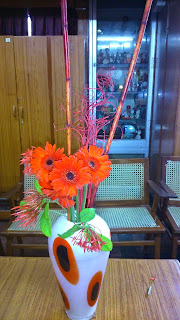 The understated presence of the flowers a reflection of the artiste?! 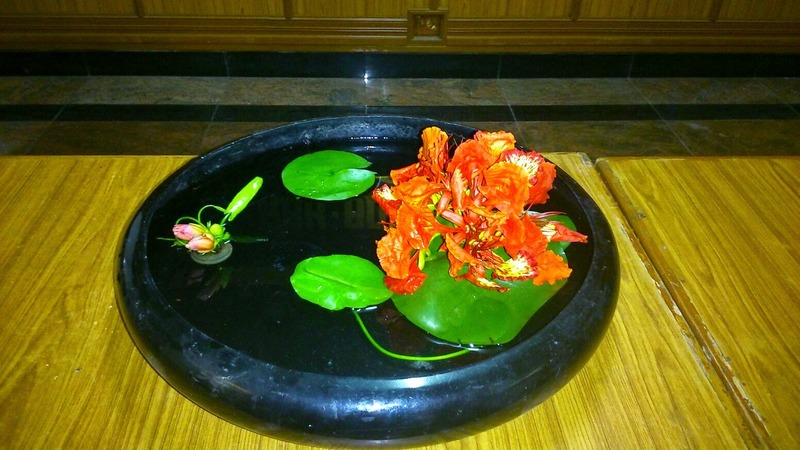 Seethalakshmi created a riot of red, reflected in the vase, the flowers and the dry material. 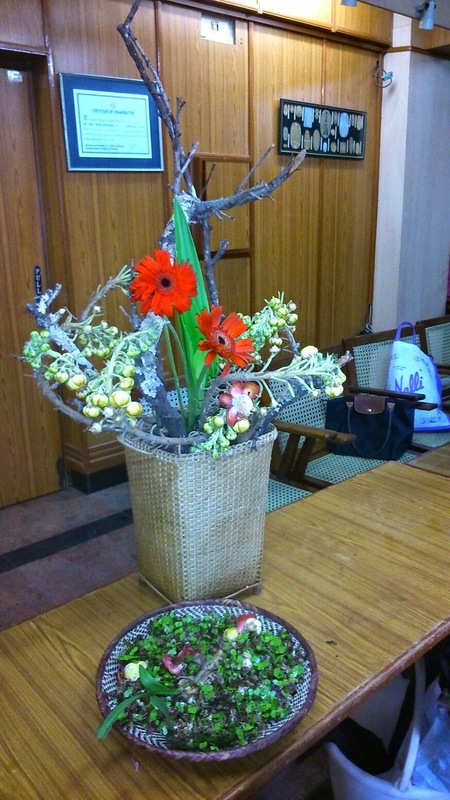 The red jerberas were the focus of the basket composition by sensei Dalley. 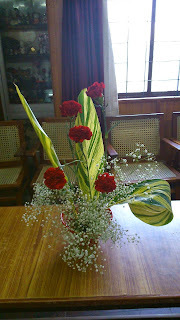 Janaki's red vase is not very clear in this picture, but the white "cloud"
shows a hint of the red, as also the red carnations. Prerana experimented with different shades of red. Thirteen members thoroughly enjoyed the experience. 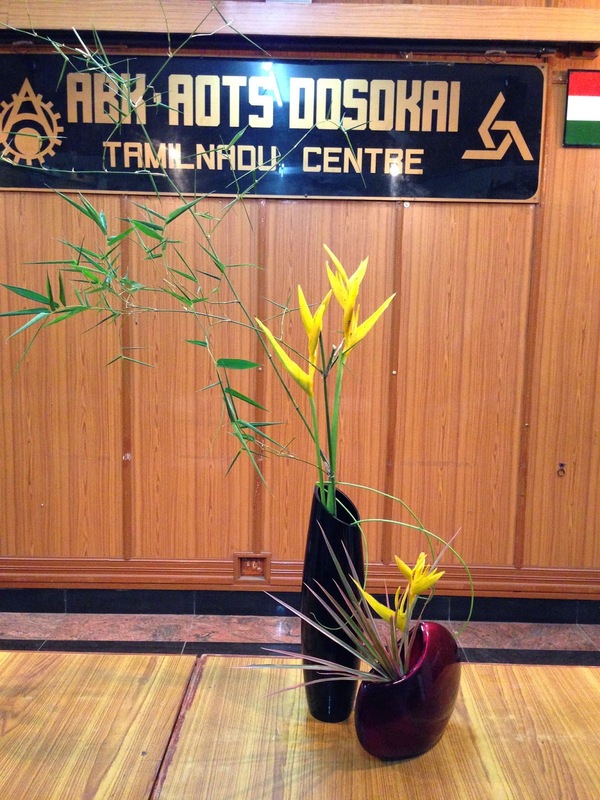 The next workshop will be at ABK once again on the 16th of September, 11am when Sensei Meenu demonstrates with combination vases.